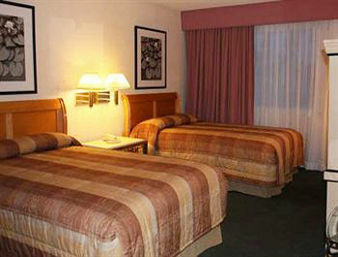 The Travelodge Palm Springs offers budget-friendly rates to go with its good location. To expand on the location, you can find this motel on the western edge of Palm Springs proper. Within easy reach are all of the city’s numerous attractions, as well as the airport. Whatever guests have in mind for their stays, they are treated to complimentary breakfasts. Also included in the Travelodge Palm Springs rates are internet access and on-site parking. A satisfying array of facilities are available for guests to take advantage of at the Travelodge Palm Springs. Highlights include an outdoor pool, an outdoor hot tub, a business center, and laundry facilities. A lobby microwave and both vending and ice machines only bring added convenience. In the 65 rooms, such standard amenities as air conditioning, alarm clocks, fridges, coffee makers, irons, and hair dryers are provided. Guests are also treated to complimentary toiletries and cable TV. Pets are allowed for an added fee.